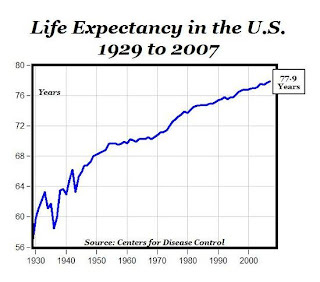 Good News You Never Knew About Life Expectancy in the U.S. The National Center for Health Statistics in May released final data on life expectancy and deaths in the U.S. for the year 2007 (read it here). It is an extraordinary report, because it further documents that Americans continue to live longer and healthier lives, year after year. Compared with 2006, the age-adjusted death rate from all causes declined 2.1% in 2007. This is an extraordinary single-year decline, and it was driven by impressive reductions in five of the top 10 causes of death, as noted in the table. Heart disease, accounting for about one-quarter of all American deaths, declined almost 5% in 2007, and stroke deaths dropped by over 3%. Deaths from cancer were down over 1%, and there were impressive declines for diabetes (-3.4%) and influenza/pneumonia (-9%). These aren’t just one-year wonders; declines have been occurring for 20 to 30 years. Chances are that you knew nothing about these incredible statistics. That’s because the federal government and most health organizations cast every health issue as a crisis. They argue that Americans are in poor health and are being killed by obesity, as well as chemicals in our food and in our environment. They portray our health care system as ineffective. They don’t want you to know the truth: death rates for most major diseases continue to plummet. The long-term decline in smoking is playing a role, especially in the impressive reductions in heart disease, cancer and stroke rates. But many Americans are also eating healthier foods, and using preventive medications like aspirin and statins (that lower cholesterol levels) to reduce risks. And the health care system is providing ever-improved treatments. I offer the following example to illustrate that the decline in American death rates over the past couple decades is truly astounding: let’s compare 2007 with 1987. In 2007, the nation’s age-adjusted death rate for all causes was 760 deaths per 100,000, and a total of 2,423,712 Americans died. Just twenty years earlier, the age-adjusted death rate was 970, about 28% higher than 2007 but still far lower than in previous decades. If the 1987 rate had been effective in 2007, there would have been 669,000 more deaths! The average life expectancy at birth for the U.S. population in 2007 was the highest in history at 77.9 years, an increase of 0.2 year over the 2006 number. In other words, every American gained almost 2½ months of life expectancy in just one year! This is irrefutable evidence that our health and social system, despite its limitations, has sustained remarkable advances in the prevention and treatment of most life-threatening diseases, extending and improving the lives of millions of Americans. A new study published in Biomed Central Public Health (available here) describes the socioeconomic and lifestyle characteristics of snus users and smokers in Stockholm County, Sweden. Based on a 2006 survey of 35,000 residents, it was authored by Karin Engström and colleagues at the Department of Public Health Sciences at the Karolinska Institute. In addition to providing interesting information about snus users, this study has important implications for Karolinska Institute claims about the link between snus use and cancer. Among men, 17% were exclusive snus users, 11% smoked and 2.4% were dual users. Among women, cigarette smoking was dominant (15%), while snus use and dual use were only 3.1% and 0.5% respectively. Given this, I will focus on the findings for men. It is noteworthy that the prevalence of snus use was highest among men less than 35 years old. 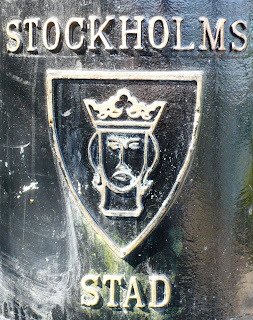 This means that young men in Stockholm strongly prefer snus, a lifestyle choice that will have little or no effect on their health as they age. Snus users were somewhat more likely to have lower education levels than nonusers of tobacco, a trend that was even stronger among smokers. Smokers were also more likely to be unskilled and skilled workers in the very low income group, while snus users were more evenly distributed among all occupational classes and across all income levels. One of the more interesting results concerned alcohol consumption. Risky alcohol consumption was defined as 14 standard drinks per week; the survey also asked about weekly or monthly binge drinking. Snus users and smokers were more likely to practice risky consumption than nonusers (odds ratios = 1.8 – 1.9), and they were more likely to have weekly binge-drinking episodes (ORs around 3.1). This information on alcohol abuse among snus users is important, because a Karolinska epidemiology group, led by Olof Nyrén, published studies suggesting that snus use is associated with a small risk of pancreatic, stomach and esophageal cancer (abstracts here and here) among workers in the Swedish construction industry. Alcohol abuse is a strong risk factor for esophageal cancer and may be linked to stomach and pancreas cancer; this makes it a confounder with respect to snus use. In other words, if snus users are more likely to be alcohol abusers, then some of the cancers attributed to snus might instead be caused by alcohol. In many modern epidemiologic studies, standard procedures are used to account for confounders. In this case, to accurately separate the risks due to snus use from those due to alcohol abuse. But the construction worker studies had no information on alcohol consumption, so alcohol abuse could not be ruled out as a competing risk factor. The lack of information about alcohol in these studies is a serious deficiency that raises questions about the validity of Nyrén’s claims. In summary, men in Stockholm from all income levels and all occupations prefer snus over cigarettes. The impact of this preference on their health is so small that it is barely measurable by modern epidemiologic methods. Furthermore, snus users, like smokers, are more likely to abuse alcohol, which may be a distinct risk factor for some cancers that has not been evaluated in previous Karolinska Institute reports on snus use. In 2008, the European Commission released a report entitled “Health Effects of Smokeless Tobacco Products.” (available here). Except for one small part discussing tobacco harm reduction (Section 3.8, pages 111-118), most of the report was very negative, even denying that snus use has had any effect on smoking in Sweden and Norway. The report concluded: “It is difficult to envision any significant impact of snus use on smoking cessation in Norway…” This was especially baffling, as Figures 19-22 (pages 42-43) show clearly that increased snus use over the last 20 years was concomitant with decreased smoking. The Commission report also surprised Dr. Karl Erik Lund, a respected tobacco researcher with SIRUS, the Norwegian Institute for Alcohol and Drug Research. Lund has 20 years experience in tobacco research and has authored more than 85 journal articles in the fields of tobacco epidemiology, evaluation and prevention. This year, he published landmark studies showing unequivocally that snus use has had a profound impact on smoking in Norway. Lund’s current study was published in Addiction (abstract here). He compared quit rates, defined as the percentage of ever smokers who are now former smokers, among snus users and never users in seven previously published Norwegian surveys. As seen in the table, the quit rates for snus users were always higher than for those who had never used snus; the results are statistically significant for all surveys except number 4. This is compelling evidence that snus has played a powerful role in smoking cessation among Norwegians. As Lund notes, it is consistent with the Swedish evidence. Equally important, it is consistent with evidence I have published from federal surveys in the U.S. (discussed in this March blog post). Earlier this year, Lund published evidence in Nicotine & Tobacco Research that Norwegian men preferred snus over ALL other methods to quit smoking (abstract here). The SIRUS survey asked 3,583 former or current smokers age 20-50 years what method they used when they last tried successfully (former) or unsuccessfully (current) to quit. Snus was used by 32% of all respondents, making it the most popular method by far. Other methods that enjoyed modest popularity were nicotine gum (18%), self-help material (12%), and the nicotine patch (10%). Nicotine inhaler, Zyban, Champix, telephone quit line, and help from health care professionals were also included in the survey, but they had negligible usage rates. Lund reported an adjusted odds ratio (AOR) to indicate effectiveness of products compared with nicotine gum, the reference product. For quitting completely, the AOR for snus was 2.7, meaning that it was nearly three times more effective than gum. Snus was also three times more effective than nicotine gum in “greatly reducing cigarette consumption” among continuing smokers (AOR = 3). Lund observed: “Of those smokers who reported that they had tried to quit by using snus, 62.4% reported that they still used snus at the time of the survey, either daily (43.8%) or occasionally (18.6%)…In comparison, only 9.5% who had used nicotine chewing gum or nicotine patches at the last attempt to quit were still using these medicinal nicotine products at the time of the survey.” In other words, snus was effective precisely because it was a satisfying and enjoyable substitute, rather than an unsatisfying and distasteful temporary medication. This represents the fundamental advantage of a recreational approach to smoking cessation, compared to treating smokers’ nicotine addiction with medications. Smokers aren’t sick; they just want to have safer alternatives. There is no question that snus is an effective and PERMANENT nicotine substitute for many former smokers. This is important, because a dominant theme in the U.S. is that quit-smoking methods must all eventually lead to permanent nicotine and tobacco abstinence. Given that the outcome measure for all smoking cessation trials in the U.S. is complete abstinence, it is no wonder that most cessation methods are deemed failures. For successful tobacco regulation, the FDA must break the public health community’s addiction to abstinence promotion. Unfortunately, the FDA is still focused on abstinence (here). 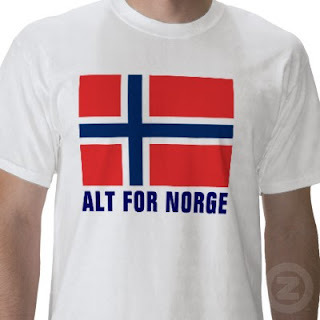 Norwegian authorities have a more realistic and rational strategy. Lund and colleagues noted that in 2009, the Norwegian Health Directorate “agreed that health care personnel can recommend snus in individual cases of inveterate smokers.” It is refreshing that the directorate recognizes that saving smokers’ lives is more worthy and achievable than simply breaking the chain of tobacco addiction. In June, I called attention to the unscientific proposal by two FDA tobacco advisory committee members, Drs. Jack Henningfield and Neal Benowitz, to radically reduce nicotine in cigarettes in order to force smokers to quit and prevent children from starting to smoke (read my post here). They are now the co-authors of another thinly veiled call for reducing nicotine to “non-addictive levels” in cigarettes, just published in the journal Tobacco Control (abstract here). Henningfield and Benowitz are joined by fellow committee member Dr. Dorothy Hatsukami, the National Cancer Institute’s Dr. Cathy Backinger (read about her previous pronouncements here), FDA staffer Dr. David Ashley, and Mitch Zeller, a lawyer. Zeller works for a consulting firm employed by GlaxoSmithKline, the pharmaceutical manufacturer that last week called on the FDA to ban dissolvable tobacco products (read about it here). According to Dr. Elizabeth Whelan of the American Council on Science and Health, “GSK is clearly trying to protect its own market…” by eliminating tobacco products that it perceives as competition with its medicinal nicotine products.” (For insights on medicinal nicotine’s dismal track record, see my previous blog post). "What is the nicotine threshold dose(s) for addiction…? What are the effects of reduced nicotine cigarettes on the brain in adult smokers and in adolescents…? What is the extent of compensatory smoking…and what interventions can be used to minimize compensatory smoking, such as making nicotine available through less hazardous delivery systems (e.g. nicotine replacement therapy)…? What are the effects of reduced nicotine cigarettes in subpopulations (consumers who smoke for self-medication purposes such as those with comorbidity or who are severely addicted)…and how can negative consequences be mitigated? What would be the public’s reaction…? How could we frame the message and educate the public…? What are the potential unintended consequences from reduced nicotine cigarettes, how can [the consequences] be determined and monitored, and what needs to be done to mitigate against negative consequences?" In other words, these “experts” can’t even define a threshold dose for nicotine addiction, and they are clueless about the effects of radically reducing nicotine in cigarettes. Yet, their press release (here ) makes nicotine prohibition sound like the perfect solution. Dr. Hatsukami ignored all those important questions, proclaiming in the release that “Reducing the nicotine in cigarettes to a level that is non-addicting could have a profound impact on reducing death and disability related to cigarettes and improving overall public health.” It appears that she has already reached conclusions before the research is performed. Unfortunately, it doesn’t take an active imagination to appreciate the disaster that would result from radical reduction (prohibition) of nicotine in cigarettes. One need only look at the nation’s reaction to alcohol prohibition, as chronicled by Daniel Orient in his outstanding book, Last Call (description here). In 1914, U.S. per capita beer consumption was 20 gallons. In anticipation of alcohol prohibition, launched in 1920 by the 18th Amendment to the Constitution, breweries produced an alcohol-free drink, informally called near beer. Six months into prohibition, sales of near beer plummeted, and brewers turned to a more attractive and profitable alternative: malt syrup, the key ingredient for making beer. It was sold in grocery stores across the nation, and it spawned a mini-industry offering filters, bottles, bottle stoppers, and most importantly, yeast. 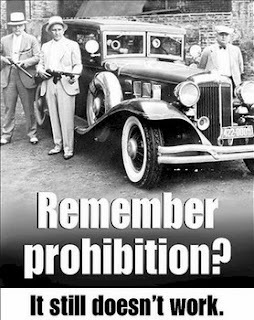 It is not a coincidence that California vineyards survived Prohibition in a similar manner. Millions of Americans legally consumed alcohol during Prohibition by making their own beer and wine. Near beer, which tasted like real beer, didn’t sell precisely because it didn’t provide alcohol, an addictive drug with benefits. Today, neo-prohibitionists, with little research and a lot of imagination, are trying to sell Americans on near cigarettes that are devoid of addictive but rewarding nicotine. Is the time ripe for such foolishness, especially when smokers have increasing access to vastly safer smokeless alternatives? It isn’t, nor will it ever be.